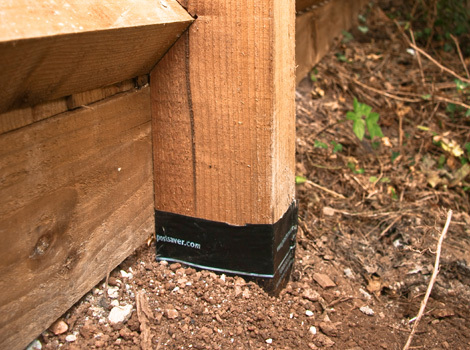 The Achilles heel with timber fence posts has always been at the point where it enters the ground – i.e. the ground line section. 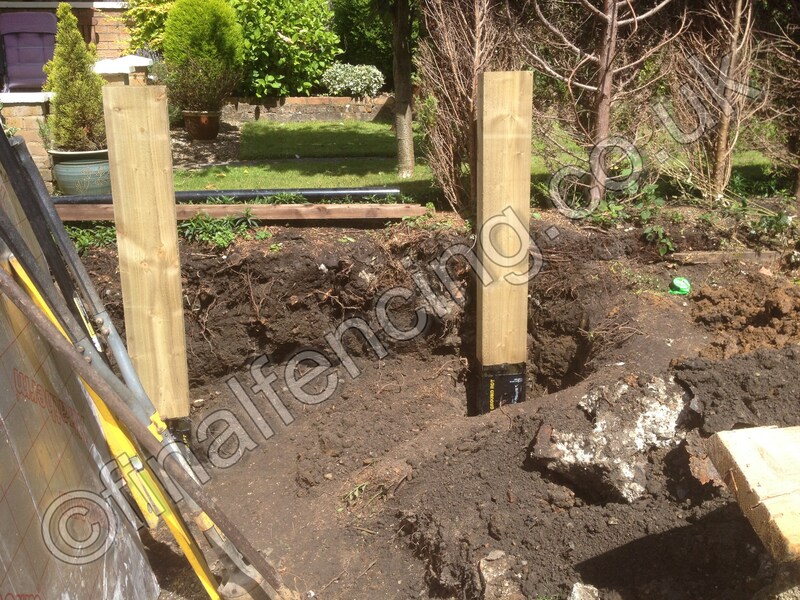 Frustratingly, they rot through at ground level whilst the rest of the fence is still in perfectly good condition and doesn’t need replacement. 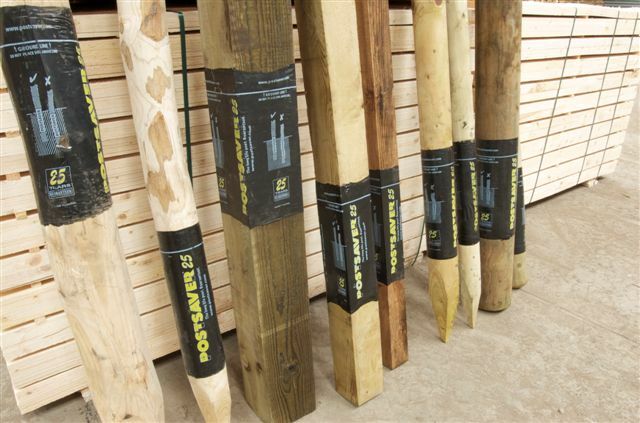 And, as we all know, with bad weather your otherwise perfectly good fence can be smashed and broken by strong winds simply because the fence post rots through and breaks off. 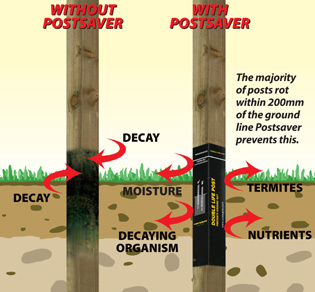 Postsaver ground line sleeves extend fence post lifespan. Very low cost. Optional extra. 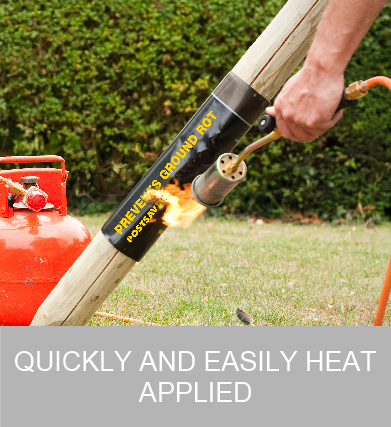 Very quick and easy to apply with a blow torch. 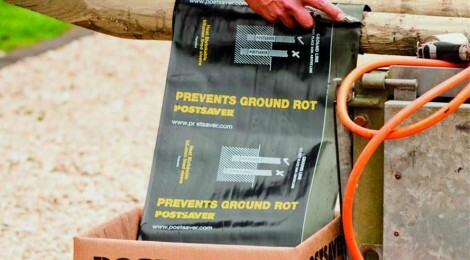 Nothing will prevent a post rotting entirely but these sleeves slow this process considerably.